I was shooting a house the other day and this was the view from the master bedroom. I like how the houses are on an angle and the view of the Rocky Mountains from here is great! Not a bad view to wake up to :). 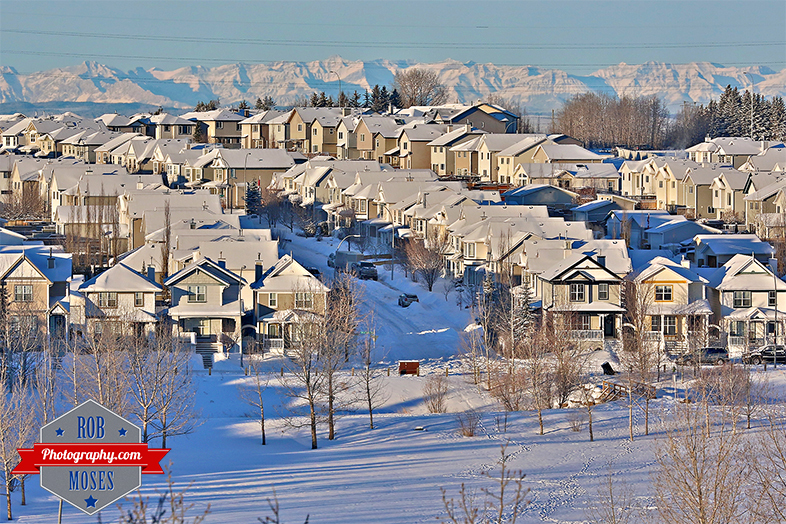 FYI, this neighbourhood is called “Tuscany” and is a suburb of Calgary, Canada. This entry was posted in Cities, Nature and tagged 5D mark iii, 5Diii, Alberta, beautiful, Calgary, Canada, canadian, Canon, hood, house, houses, landscape, morning, mountain, mountains, neighbourhood, Park, photo, Photography, pretty, rockies, rocky mountains, sky, Snow, street, trees, Tuscany, view, winter, yyc, zoom. Bookmark the permalink. Great shot! I wouldn’t have thought about taking this one. But that’s why you’re the pro! There are the foothills and Rockies…Great shot. I can feel the cold and hear the crunch of the snow. Thank you! Yes it is indeed cold in Calgary haha. fabulous perspective…love the tones and the mountains in the background…well done!